The fun way to stay fit. 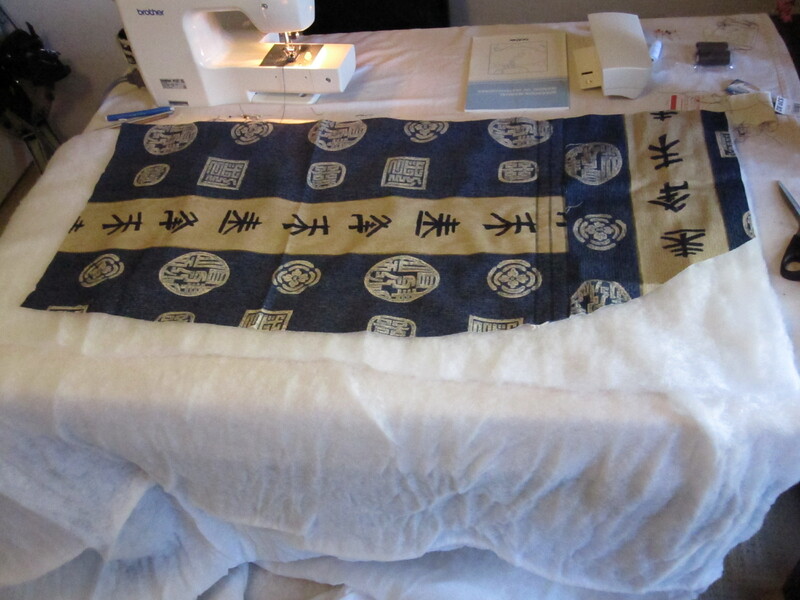 Now that the material is cut for the inside and outside of each face of the bag, the next step is to put the padding in the middle and sew each panel up, ready for assembly. 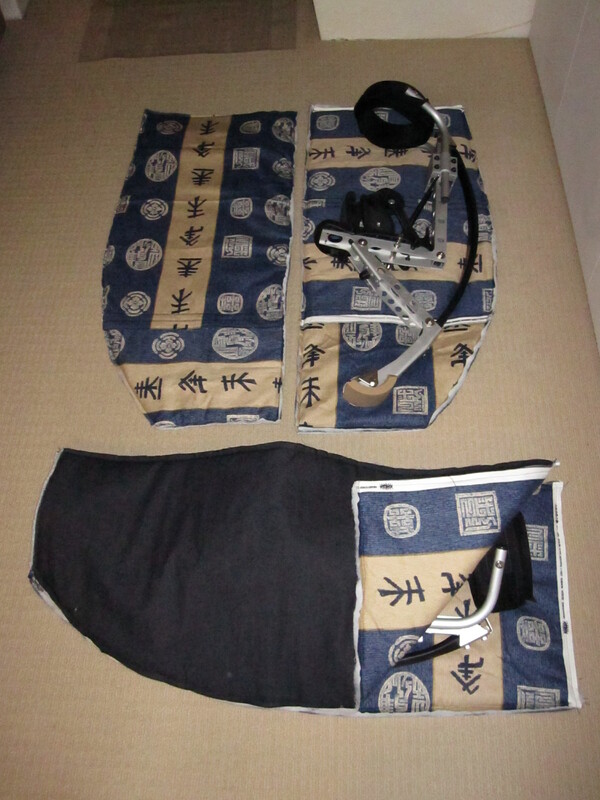 The padding I used is in the picture below, and I used two layers in each panel. 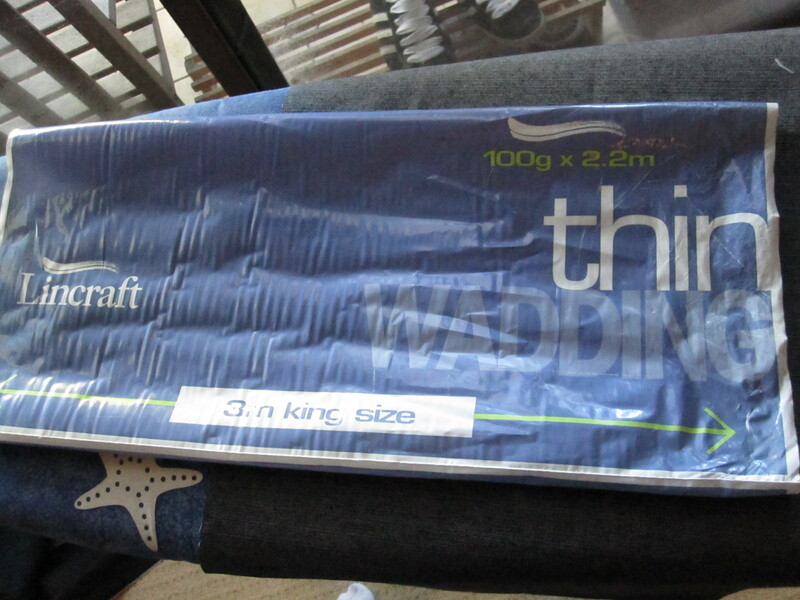 The padding was fairly cheap – I think around $15, from memory. 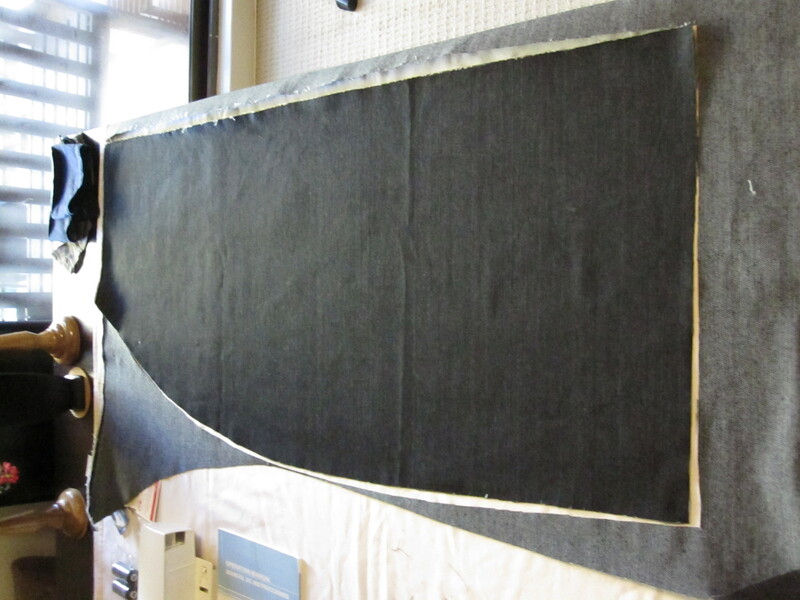 So the first step is to cut the padding out. 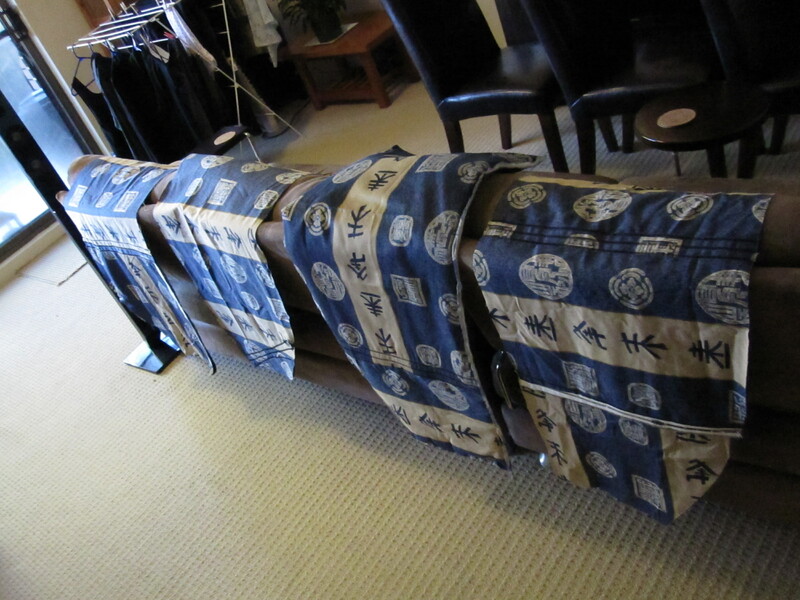 This doesn’t have to be too exact as the padding is very expandable and moves around a fair bit. 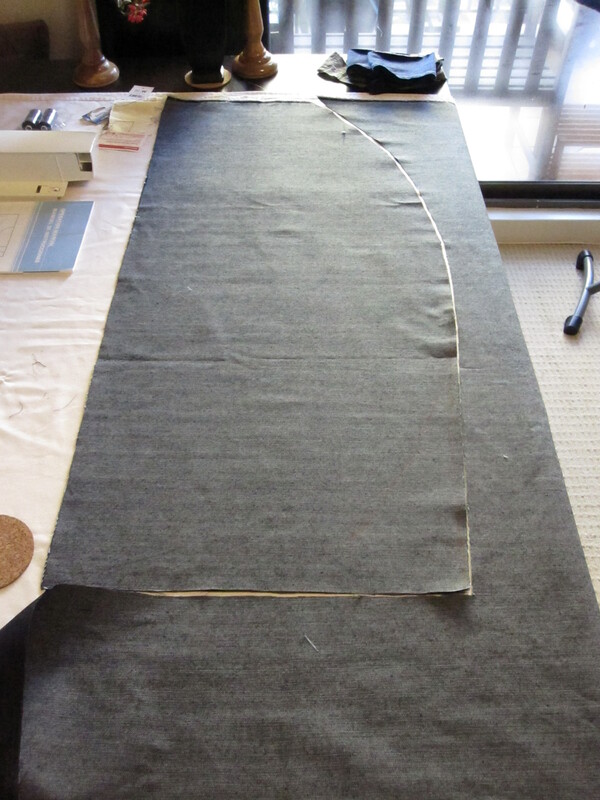 To do this, I lay the padding down on the table – two layers – and then put the inner material on top of it to get the shape. I then used my sharp scissors to cut around the shape. Once that’s done, flip the whole thing over and lay the outer material for the panel on top of it to make a material, padding, padding, material sandwich. Next I need to hold the layers in place while I sew them together. I used pins to do this and made sure the padding was right at the edge of the panel. 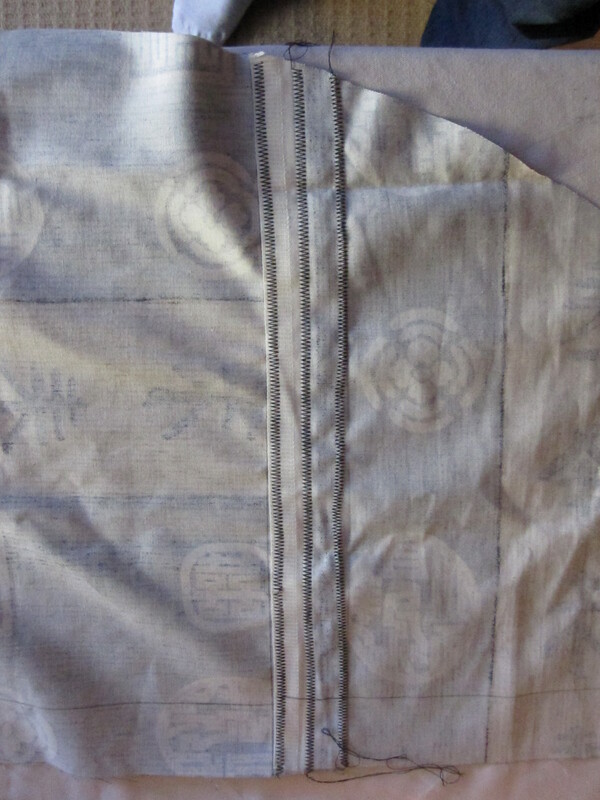 This way, when sewn, the padding shouldn’t move around at all. Putting the pins in at the angle shown means that you can sew over them easily and then remove them once the sewing is done. 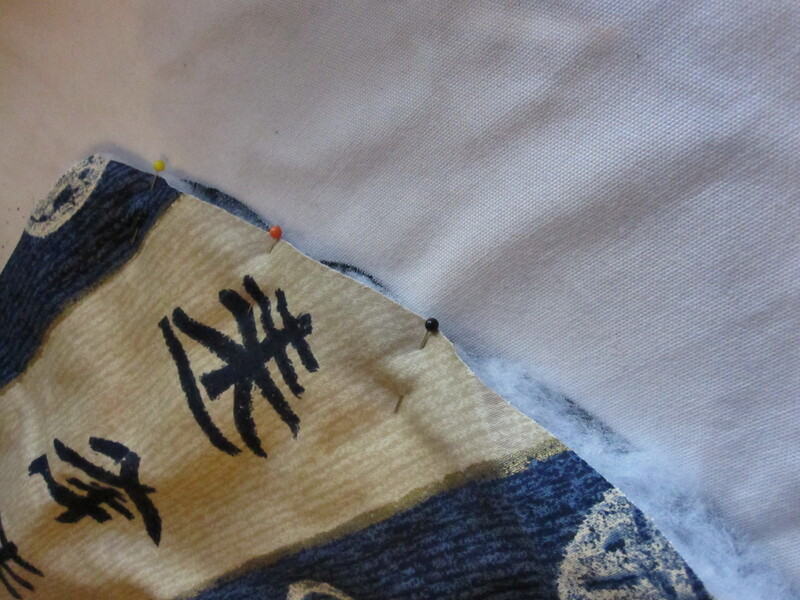 Continue doing this the whole way around the panel ready to sew. In the picture below, I use many more pins than I did for the other panels, but you only really need to put in enough pins to hold it all together. It doesn’t have to be perfect either, it’s only to hold it while it’s being sewn. 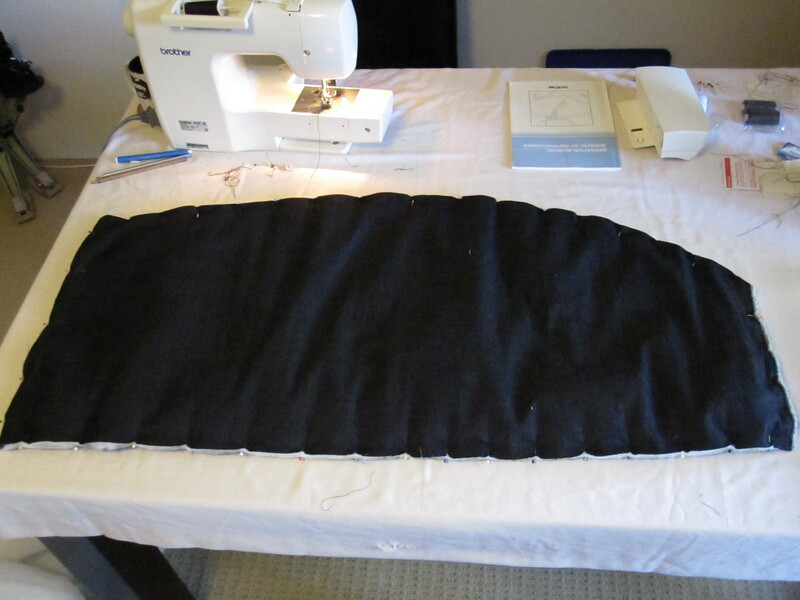 Once you have all the pins in place, it’s time to hit the sewing machine. Essentially, it’s just a matter of sewing right around the edge of the panel to hold it all together. 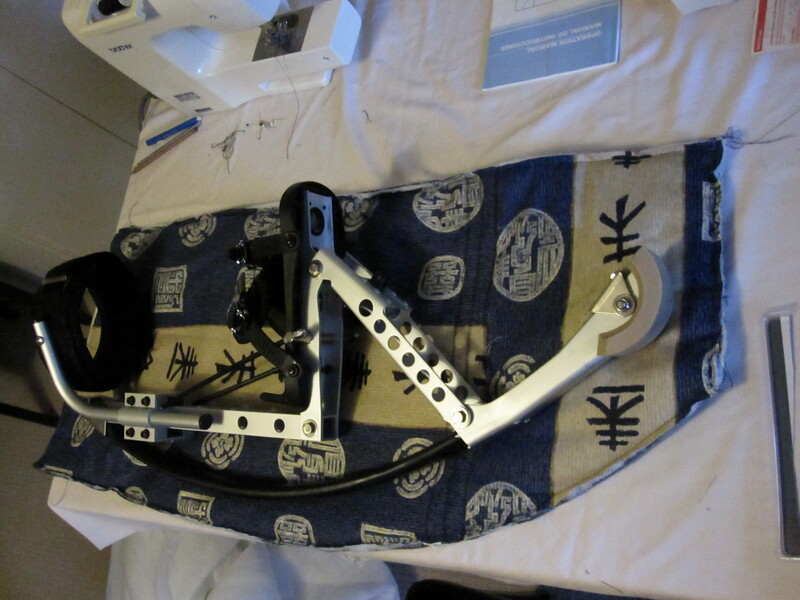 Since I left some extra room around the poweriser when I traced the outline, I’ve chosen to sew in about the width of the foot on the sewing machine. I just used a straight stitch to hold it together as each panel will be sewn again later and that will add strength then. 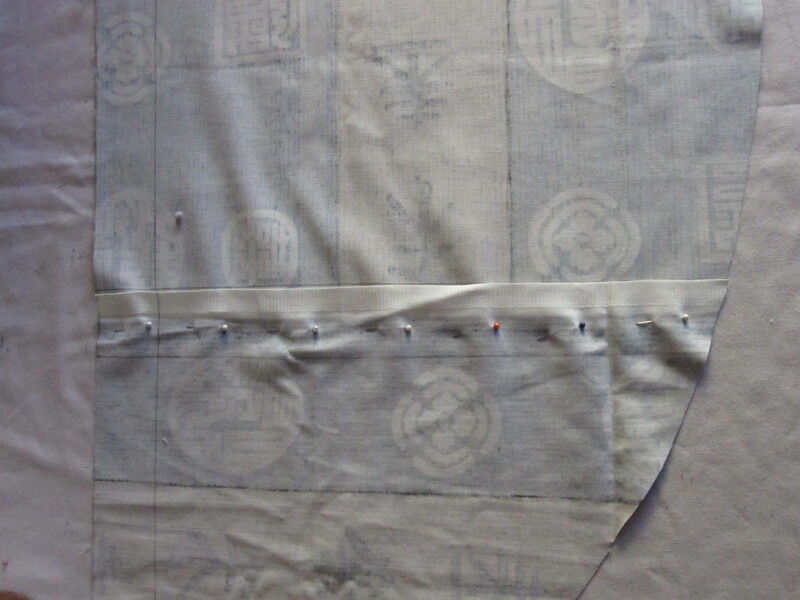 Sew all the way around the panel and when you’re finished, remove the pins and cut off any threads that are hanging around. The finished product should look like this. Once that’s done, it’s a good idea to quickly test and make sure that the poweriser still fits in there. The more testing the better, otherwise you may find a problem way too late to fix it. Yep, we’re all good. Now to repeat another three times. Last post I ended with the outside material cut for the poweriser bag. Next we need to do the inside material for the bag. Because no one is actually going to see the inside very clearly, I decided to use some material that I had left lying around from other projects. It’s not bad material, it’s thick enough and does have a pattern, however some of it is not big enough for the whole size of the bag. 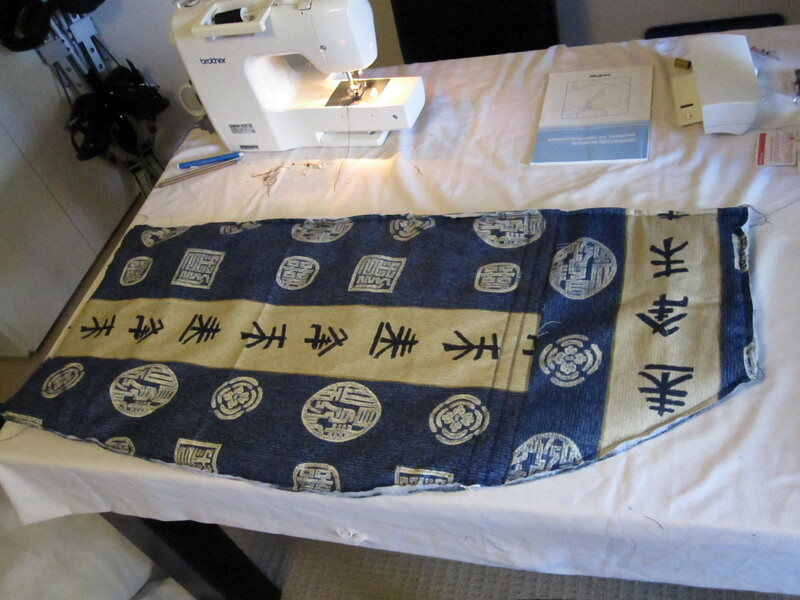 This means I may need to cut it and sew together parts to make it big enough. For the parts that are big enough, it’s just a matter of getting one of the outer pieces and lying it on top of the material and cutting around it. If it isn’t big enough the first step is similar. Lie the largest piece down on the table and then cover it with the outer material. 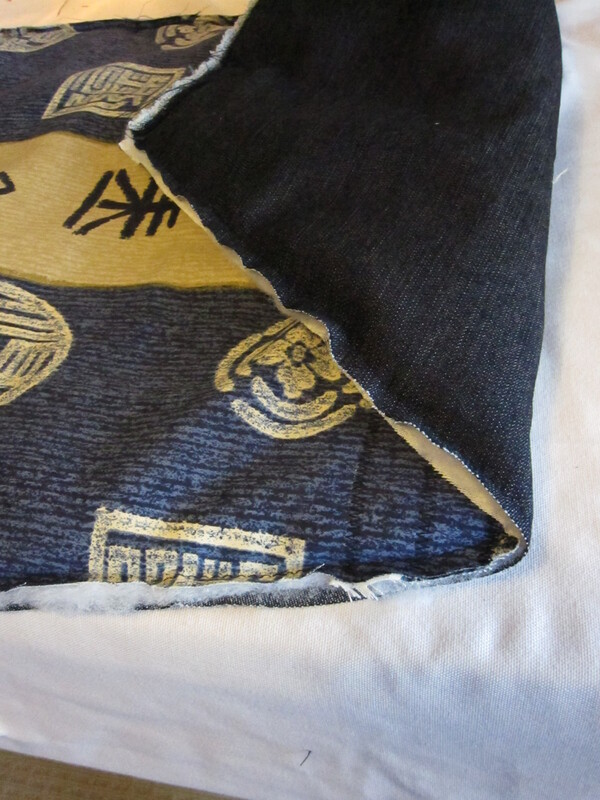 Lay the outer material down again and cut around the edges so that the new piece also is trimmed to the right size. 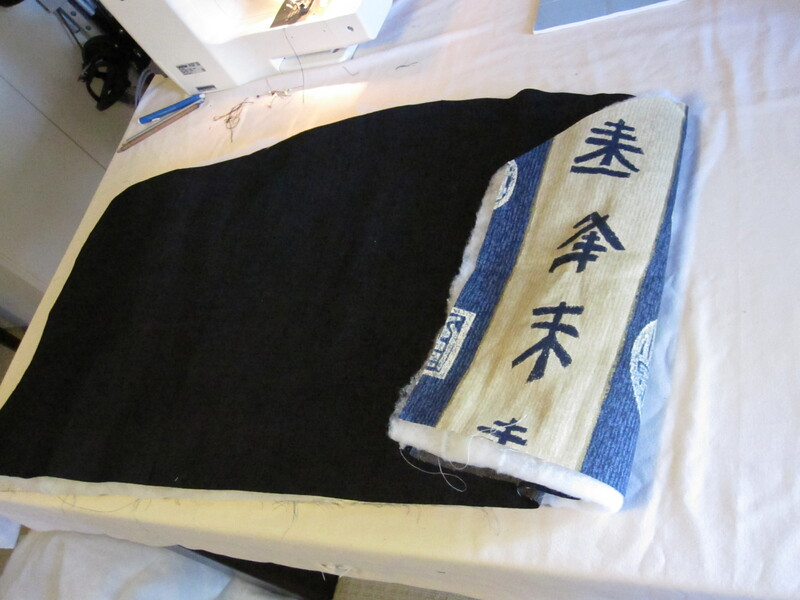 Once this is done, we’re ready to sew the two pieces together to make the whole thing like one piece of material. Remove the outer material altogether and any scraps let over from cutting. 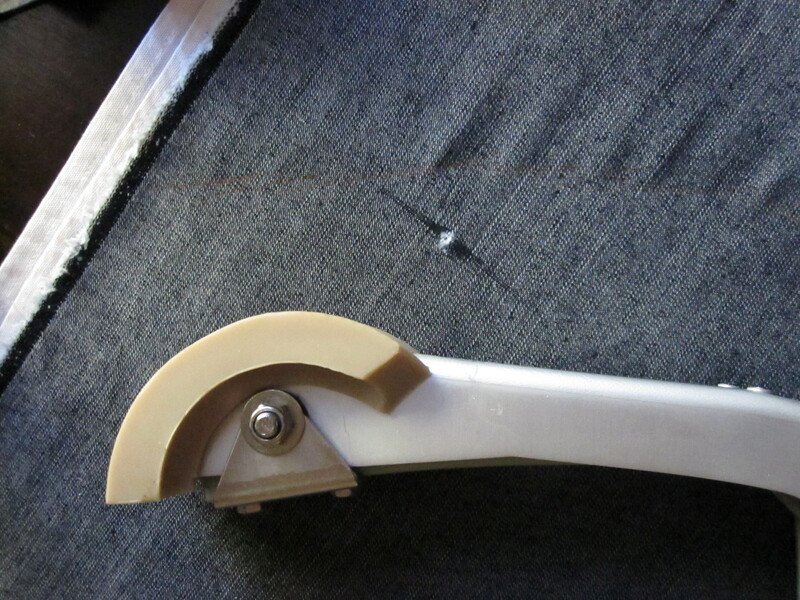 As you can see above, the next step is to put pins through the two pieces where they overlap so that we can then lift the piece of material up and take it to the sewing machine to join then together. 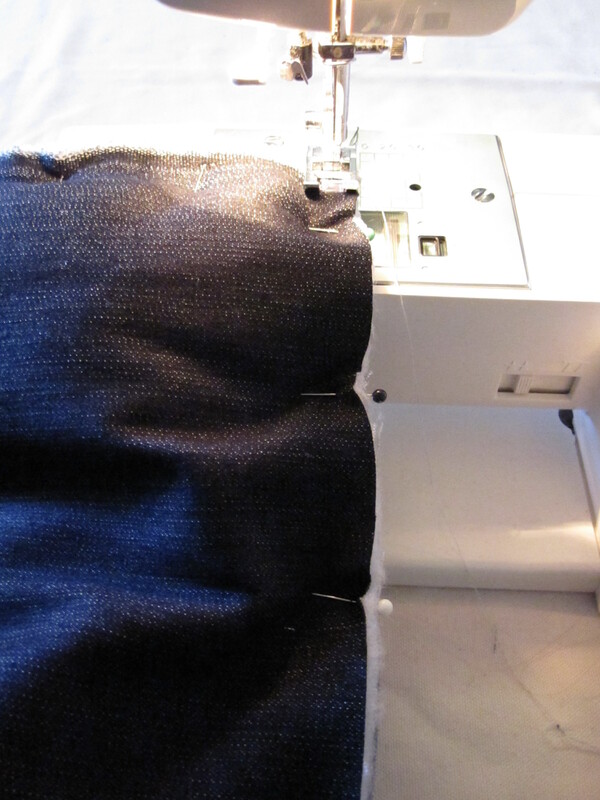 Once on the sewing machine, it’s just a matter of sewing along the edge of the join with a wide zig zag stitch to ensure that the two pieces are held together. 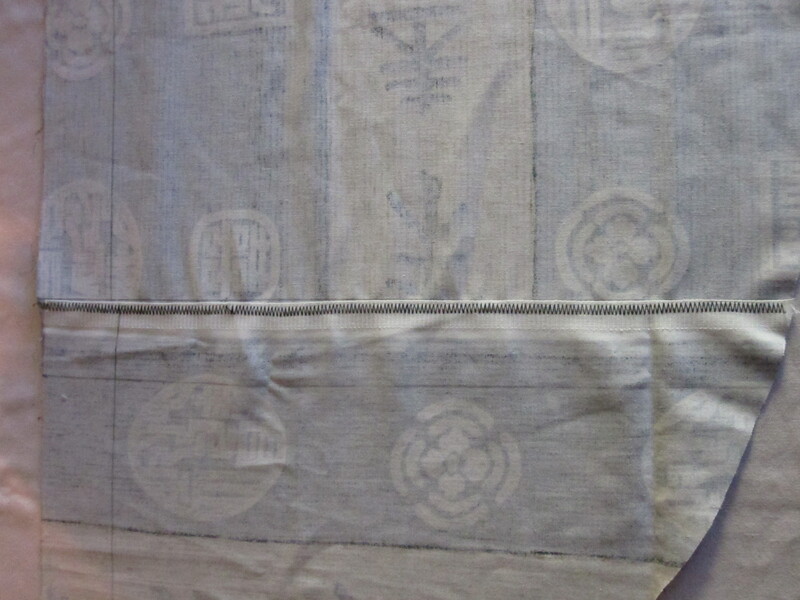 Ideally, we want to over lap the stitch a little so the fabric doesn’t fray. 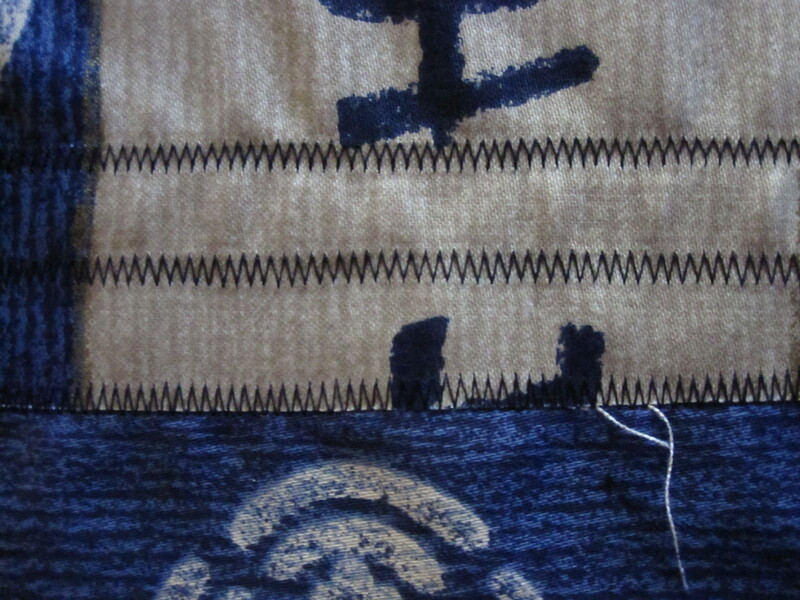 To make sure the join is very strong, we’ll do three rows of stitching. Then (and you can see this in the above pic as well), run the same stitch right through the middle of the two other stitches. This probably isn’t necessary, but I wanted to be sure that with the weight of the powerisers I wasn’t going to have any problems with seams coming apart. Each join was done the same way and I was able to get all four pieces out of the left over material I had. Here’s a view of the other side of the material. The key thing to remember is that it doesn’t have to look great, no one will see this side of the bag. Secondly, it has to be strong. 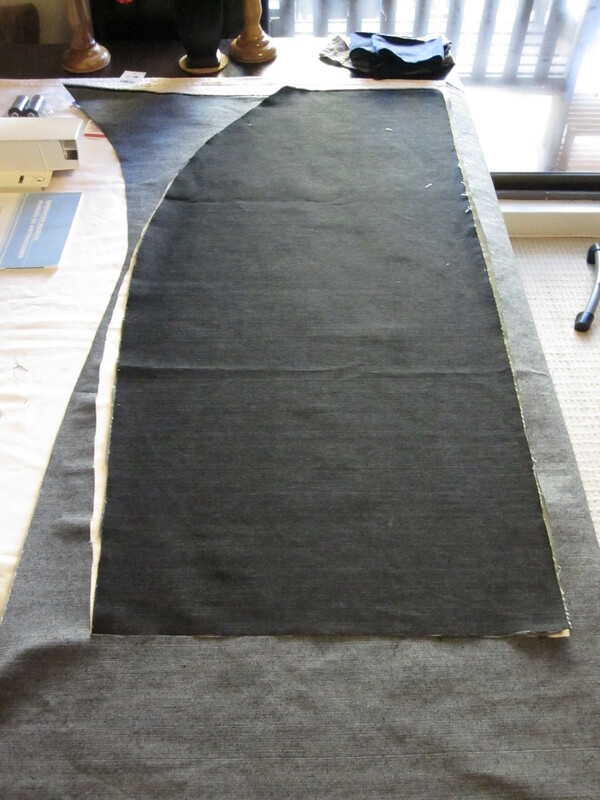 And thirdly, remember that the pattern part should face out on each part you sew together. 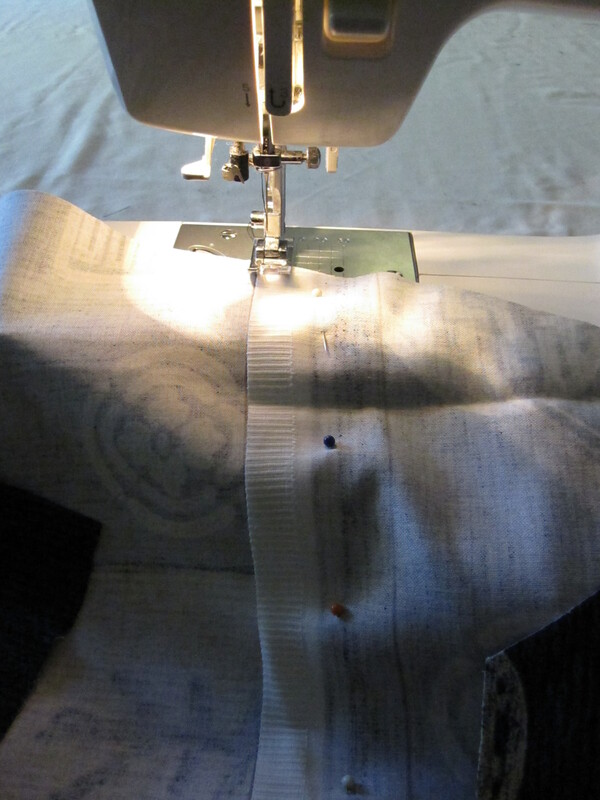 Finally, cut off the loose cotton where you’ve sewed and then put it aside then start on the next one. Once all four pieces are done, I’ll continue on with the next steps in the next blog post. So finally work has begun on the bags that I need to carry around my powerisers (jumping stilts). The big problems are that they are heavy, awkward to carry and rattle around in the back of the car. Therefore I need something that’s strong, padded and huge. Being as though it took my months to find a place that sold the powerisers and a lot of money to buy them, the thought of finding a bag to house them in that isn’t too expensive gives me nightmares. It would be easier to make my own, I thought…. So I started as always with a plan. And, as always, that plan goes through a few iterations. My previous posts on this topic show that, but here’s the latest plan. 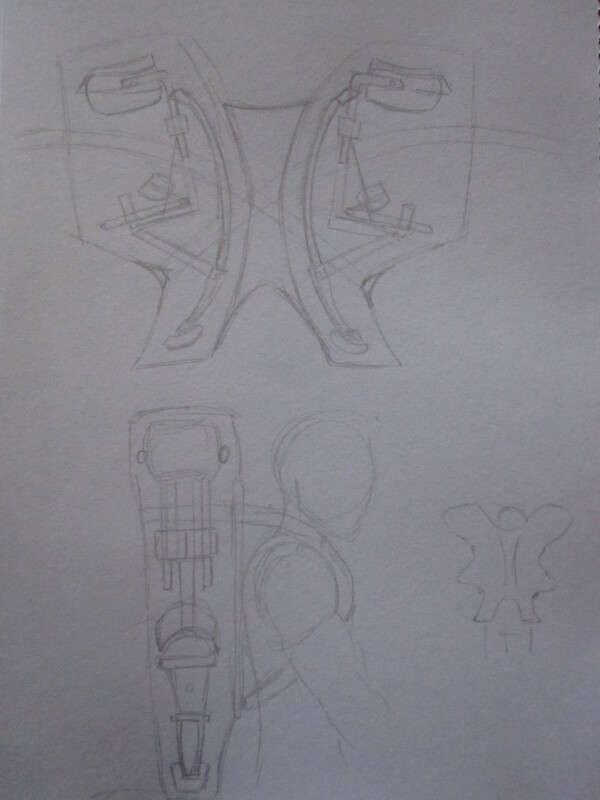 This plan is a little complex in that I want to be able to wear it like a back pack, but the first iteration will just be bags I can carry and then I’ll add straps later to make the backpack method. 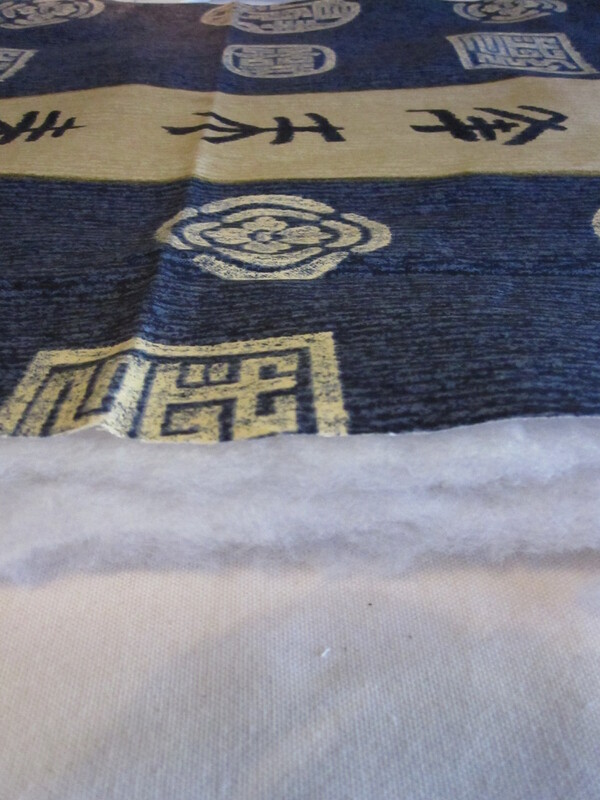 The first thing that I did was buy some denim-like material for it’s strength and some padding to go in between the material. I guessed at how much I would need and then would buy more if I was short. The material and padding was under $50, but I don’t remember exactly how much. I stored the materials for quite a while until I had some time to start the bag, so the first thing I did was got the iron out and made the material as flat as possible. 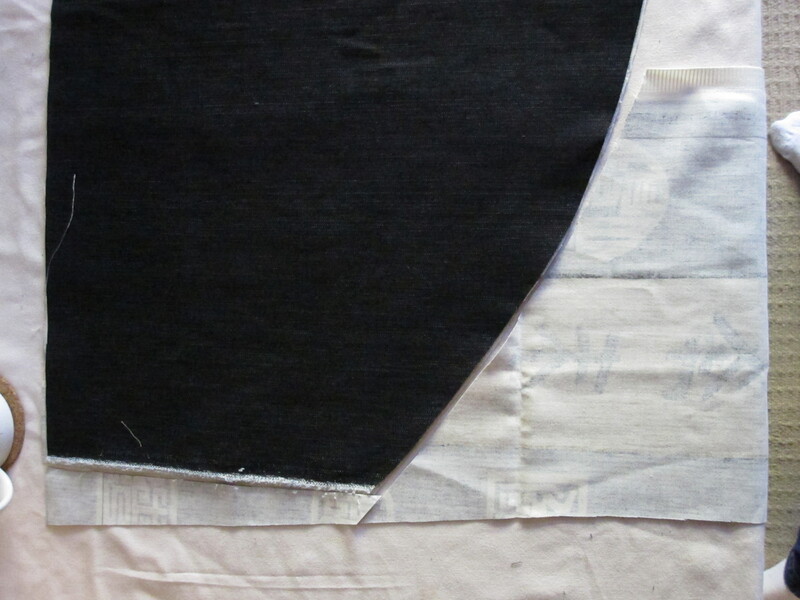 This is so important because it’s much easier to cut out and sew that way. Next I needed to work out roughly how much room I needed and I had to set up my “workbench”. The dining table did nicely for that. 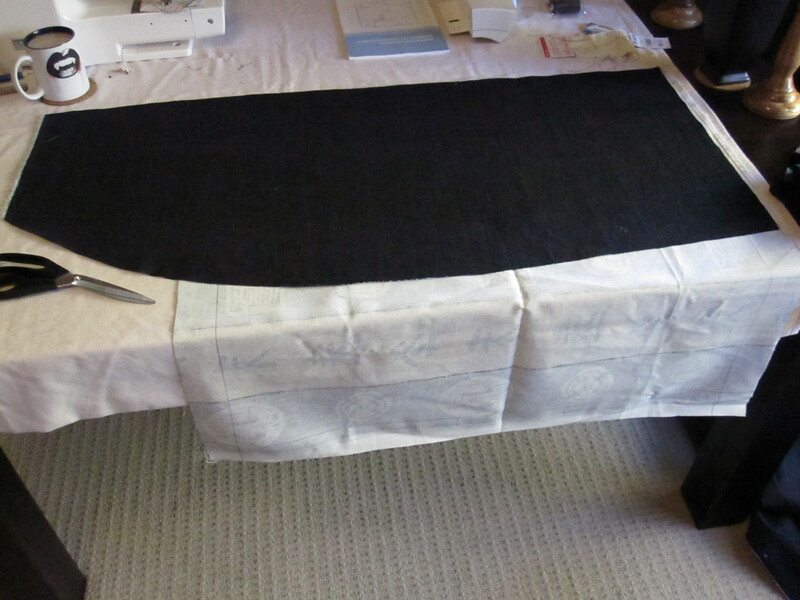 Once I had everything set up and the material was ironed, I laid the material down on the table and placed one of the powerisers on top of it to trace around to get the shape I would need. 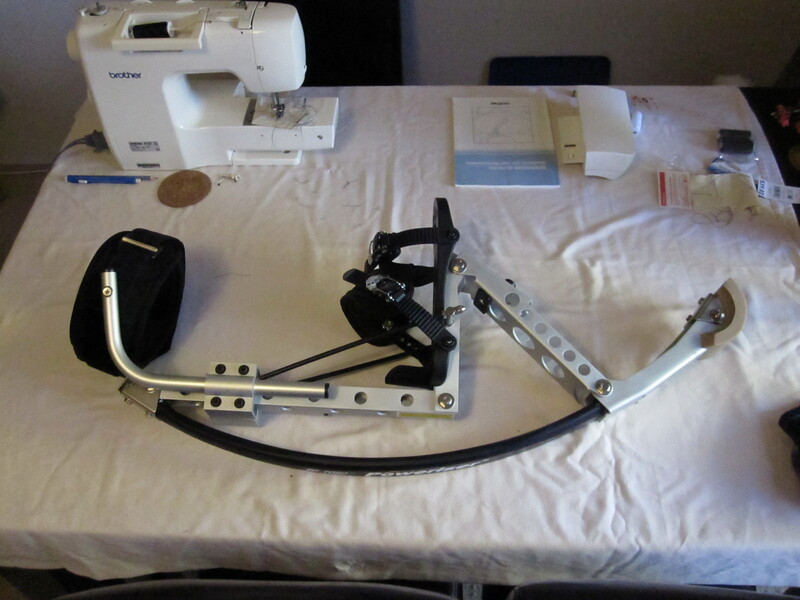 I also had to keep in mind that there would need to be extra space for the sewing and also that I had to be able to slip the poweriser in fairly easily. From there it was just a matter of tracing a line around to get the shape. I did this with a coloured pencil to make it easier to see… although it wasn’t that easy to see in the end. Here’s a close up of how it turned out, though. You can just see the brown line. Also notice how far away from the edge of the poweriser it is. From here it was just a matter of cutting out the shape. A couple of tips. Firstly, I bought a pair of scissors that I only use for cutting fabric. They’re very sharp and stay that way because I only cut fabric with them. A good pair of scissors are worth their weight in gold. Secondly, notice how I only cut two edges? 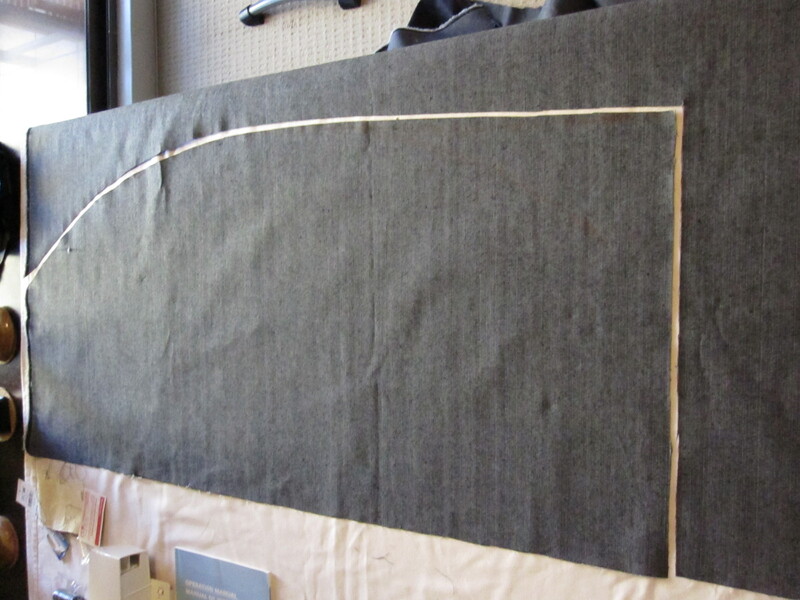 Where possible, I try to use the edge of the fabric – it means less cuts and less chance of problems. This shape then makes up one side of one bag for the poweriser. The other side of the bag will be the direct opposite, so the easiest way to measure it is to flip the piece I’ve just cut upside down on to the top of some more material and cut around that. This gives me both sides and they will come together similar to how they look in the above picture. Then I needed to cut the material for the other bag. I used the FIRST cut out so that all the material comes from the one pattern. And of course it needs to be done twice – one like the original and one a mirror image. This will give me the outside parts of the bag – the first step. The next step after this is to make sure that the sizes are all okay. The more you test the less chance of making mistakes. 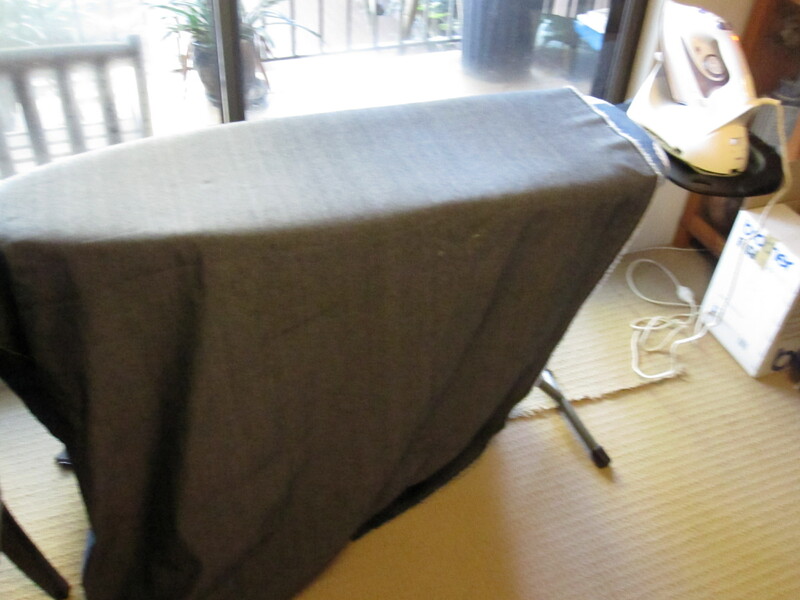 I laid the material down on the table and draped the top part across the poweriser to make sure it all fits nicely. 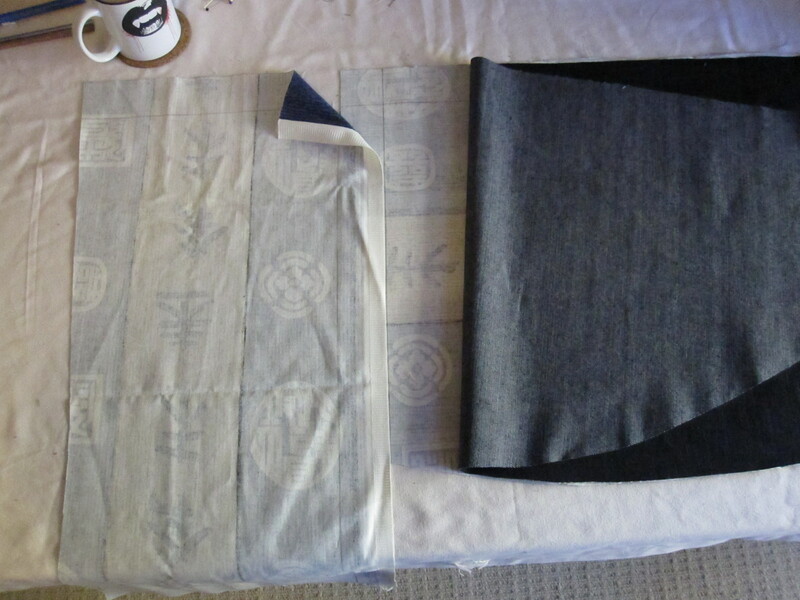 It all seems okay, so the next part is to cut out the lining to go on the inside of the bag. More on that in the next post. Okay, I love my powerisers. However it’s a bit of a pain to transport them around because they’re heavy and bulky. I really want a bag to carry them in, but the ones you can buy on the net are expensive and not exactly what I’m after. Therefore, I have decided to make my own. 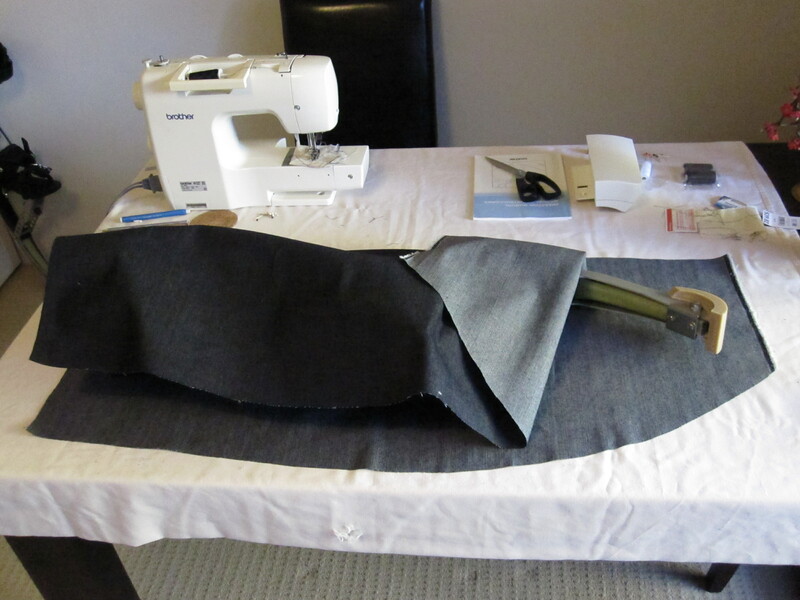 In the next few posts coming up I will take you through the sewing process for the bag and of course, the end result. 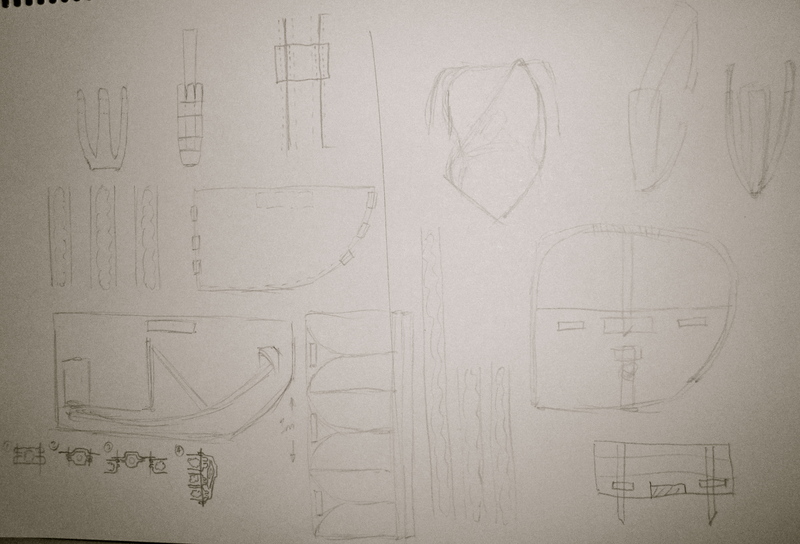 In the mean time, I have started planning how to make the bag. The idea is that it will be made of pretty durable material, preferably water resistant, with padding inside to protect the powerisers from hitting each other. I’ve done some rough sketches working out how I’m going to do this. Doesn’t make much sense at the moment, but it will come together soon…. Stay tuned! Finally got the powerisers. I had them delivered to work. Firstly, before I gush all over my blog in excitement, I have to say that I’m very impressed with Weirder the Better where I bought the powerisers. Graham told me he would have them to me by Friday and I had them around 3 on Friday afternoon. Had them on at 3:02. 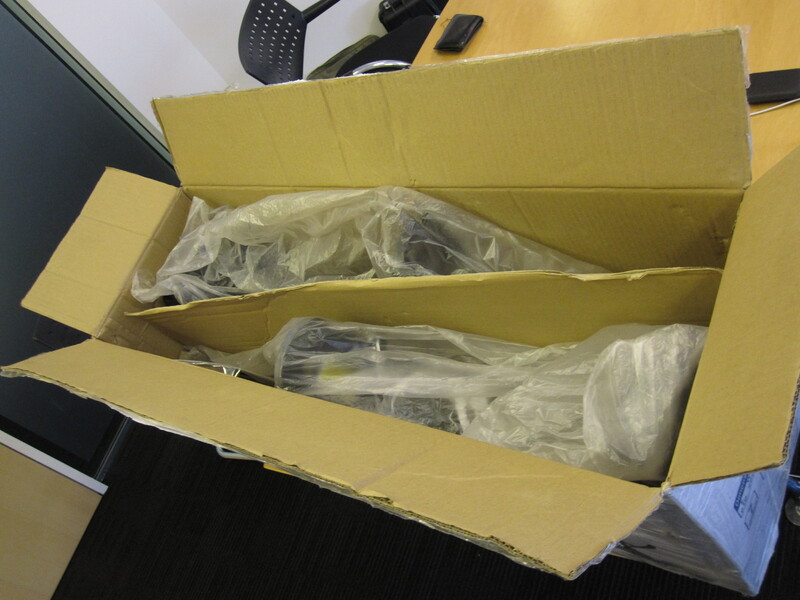 Alright, so the box arrived…. 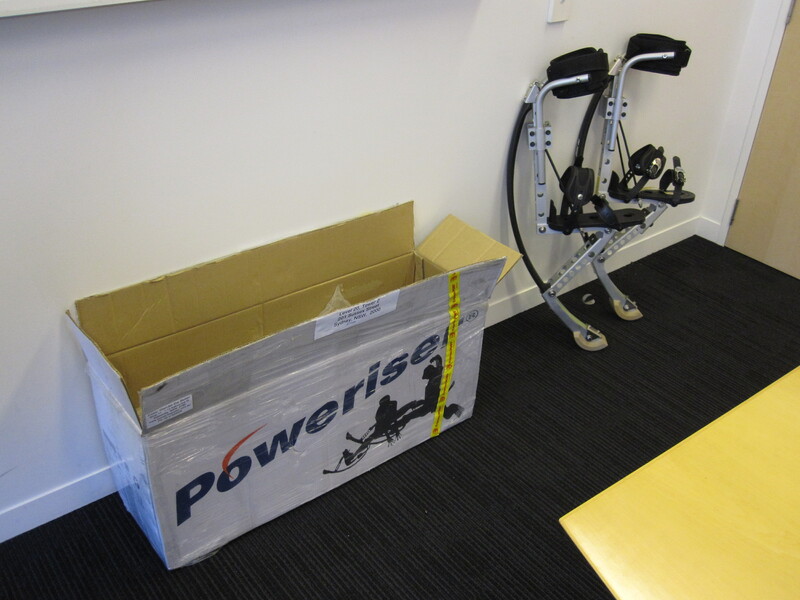 Okay, after months of research and build up, I’m actually once step (bounce) away from my poweriser adventure…. Alright, so I haven’t got them yet, but my impatience has lead me to look at another website to be able to order them. Let me talk about that for a second. I have been looking at a particular site for the powerisers, but they said that they wouldn’t ship immediately (and I want them now! ), so I started googling for another place to buy them. 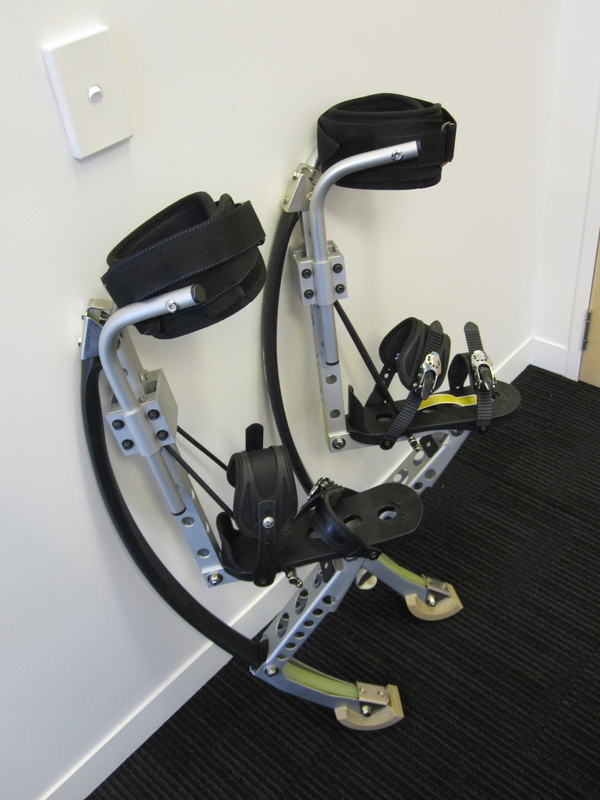 When I did I found a lot of different brands of Jumping Stilts (this being the generic name, Powerisers is a brand of Jumping Stilts). Some were half the price and others where a bit plastic looking. 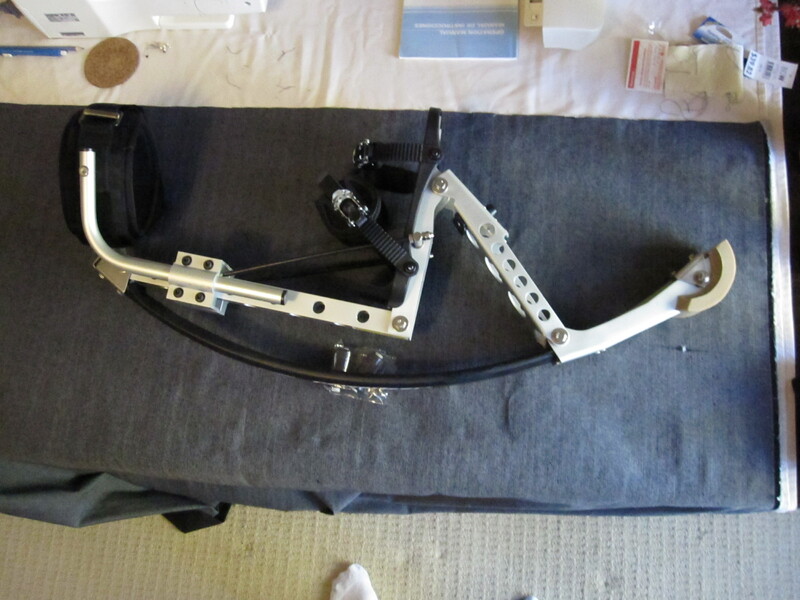 I have almost 100 kgs to put on these things so I want them to be good quality. 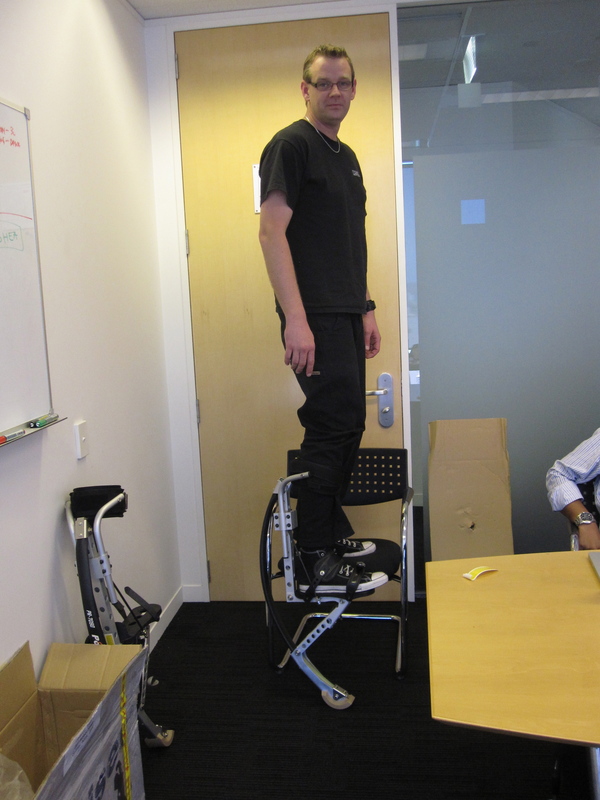 I also read a lot of noise about fake jumping stilts and web sites that were about ripping people off. I got a little concerned – and I won’t mention which sites I was thinking about buying from because I have nothing to back up whether they are dodgy or not – so I remembered a trip to Katoomba a while back where I saw a shop that sold them. I googled “powerisers blue mountains” and the shop came up. It’s called Weirder the Better (which could be my blog title) and they have an online shop. So I had previously rung the other website I was going to order from and got an answering machine message both on the business and mobile numbers (which concerned me). Therefore I clicked on the contact page of WTB (Weirder the Better) and sent them an email asking if they had any in stock and how long it would take. A guy called Graham responded really quickly and said they have them in stock. Immediately I was impressed. Sure I love the interwebz, but I also like humans and I’m wary of scams. The human touch point reassures me. Anyway, the order is placed. I replied to Graham and told him I’d placed the order, which he informed me was now in a box and ready to go. So far, I’m VERY impressed by the experience and happy to recommend that if you are in the market for buying something for your everyday circus performer needs, this is the place to go. (Yes, you read that line properly). I will update with photos of the gear, my smiling face and then the injuries I sustain trying to use the damn things as soon as the parcel comes.